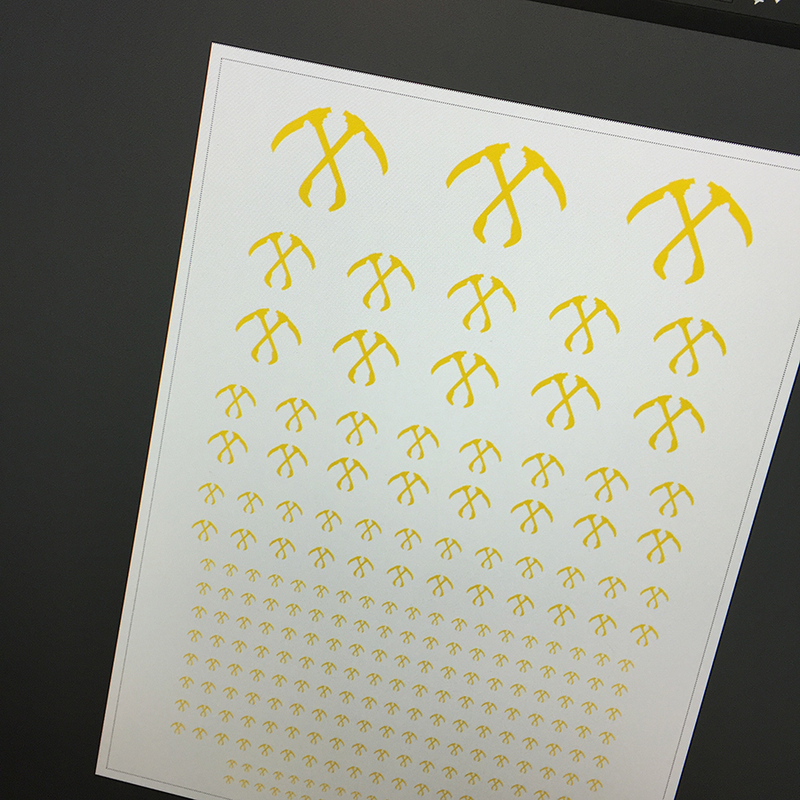 I’ve been busy creating Scythes of the Emperor icon art that matches the icons used on all the Scythes of the Emperor novel covers and short stories of late. Im going to start collecting Scythes with the new Primaris Marines, and these transfers look amazing. Will you be releasing these for everyone to use or selling them at all? Because I need them in my life! Thanks for stopping by the site! As for the transfers, I am working with a friend using a special type of printer to ensure the yellow covers over black just right. There are some online hobby companies that offer a printing service but it is very expensive for NZD vs USD costs. I live in the UK and I know a few companies that can print transfers and such out for people who have designs. I mean if you were to publish the design page that is what I would do, I would of course pay for all the effort you made to make the designs. same here – I`m going to paint my Primaris Marines as Scythes, and that transfer sheet would really come in handy! Would be great if I could buy one or two of those from you. First and foremost awesome job! I would also like to know when they are ready to be printed. Been wanting to do Scythes of the Emperor every since the Space Marine game came out for the 360. This can be difficult, but have you tried reprinting the over the top of your yellow?